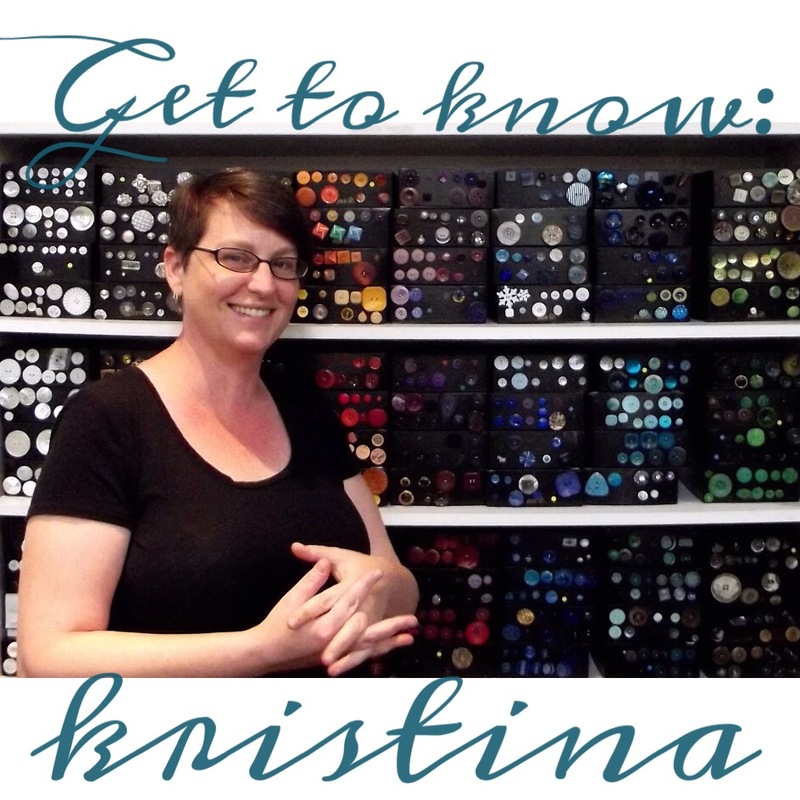 I am excited for today’s interview; join me as we “get to know” Nancy’s employee Kristina. She is an important component of our team, who takes care of ordering buttons for the store, has a great eye for arranging fabrics, and is one of the most patient people I’ve ever met. I guess twelve years? I started about eighteen years ago and left after about nine years to get my cosmetology and esthetician licenses. I returned to work the Sunday shift a couple years ago and have picked up a few additional days as there has been need. I started in 7th grade home economics, but I’ve always been around sewers. My grandmother sewed clothes all the time and my mother made dolls. No, not really. 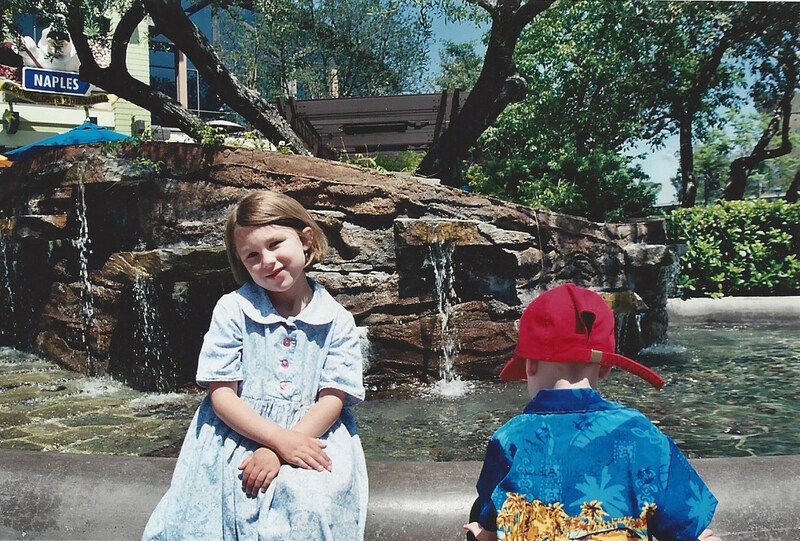 I manufactured children’s clothing for 18 months about ten years ago. It was a LOT of work for not a lot of money, so I stopped, though I love making clothes for little girls. 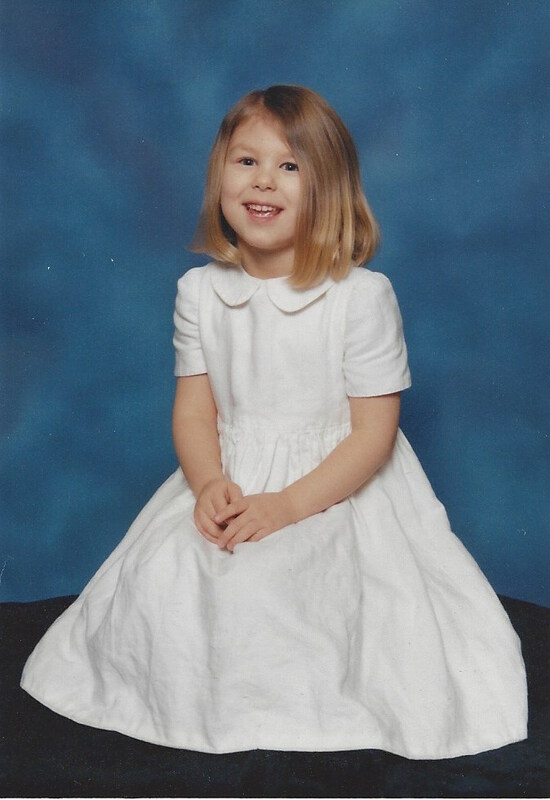 Kristina’s daughter in a linen dress. Kristina’s daughter, sporting a dress she made, and her son. These days, I primarily sew bags, pillows, and other small projects. I also make dolls. 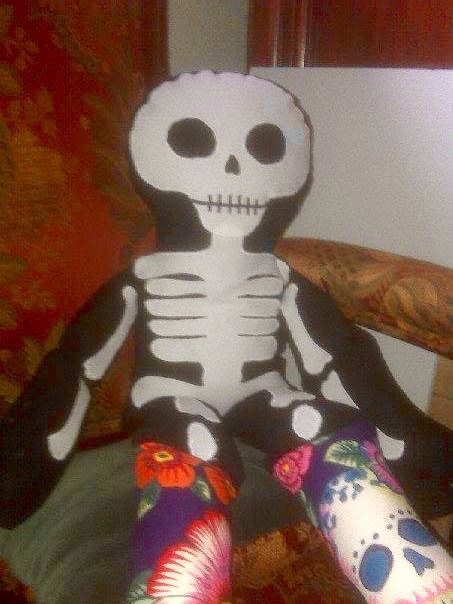 A soft body doll with skeleton applique and great printed legs. I also spin my own yarns and knit them. I’m interested in how things are put together, which is why I started spinning. I took a weaving course in college, which was incredibly inspirational. My very first sewing projects were done in school. I made a pair of shorts, followed by an apron. After I learned to sew, I started picking up pieces at thrift stores to alter them. One time, I found a wedding dress at the thrift store and altered it for a Renaissance Faire. [laughs] I have a bunch of half-done projects and fully conceptualized projects! As soon as my kids go back to school, I’ll have more time to sew. 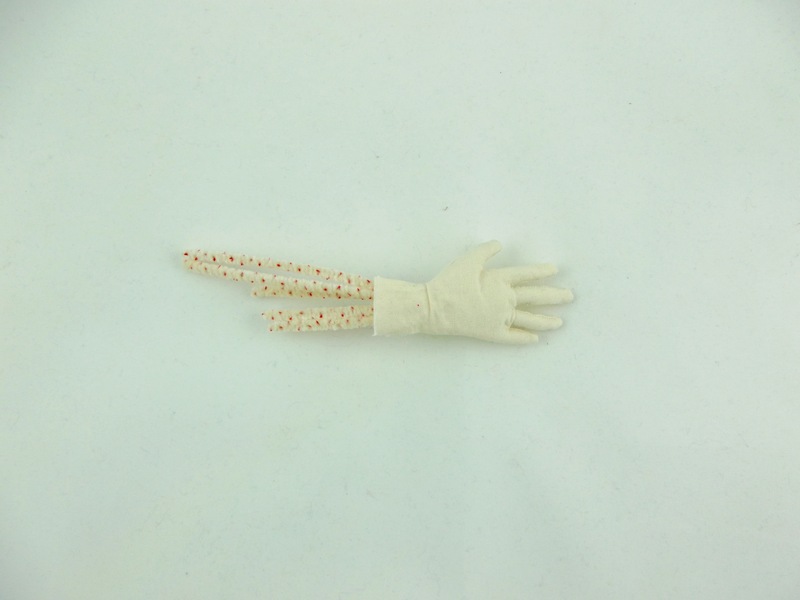 Work in progress: a soft sculpted doll hand, showing the inner armature, built from real pipe cleaners. The red nubs in the pipe cleaners help grip the stuffing inside the body, which allows for better positioning. 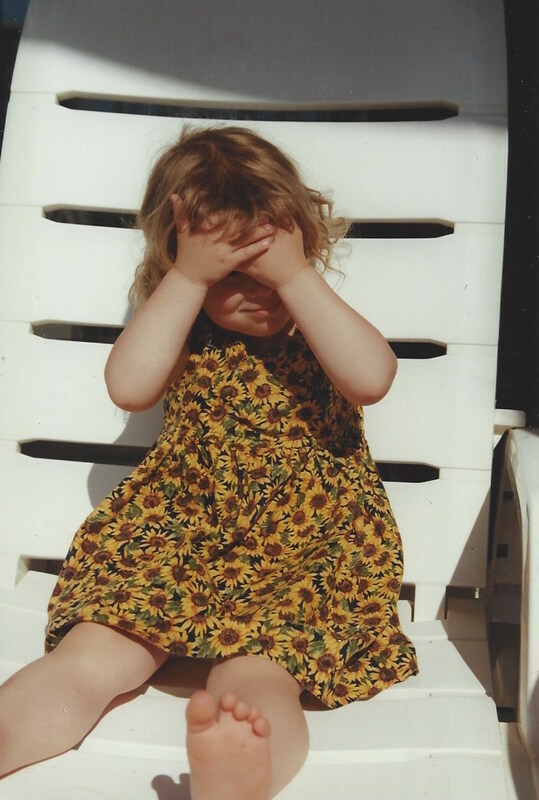 I think the most recently completed garment is the dress I made from one of the Italian shirting cottons for my two-year-old niece. We displayed it at the Sew Expo back in February. Unfortunately, I didn’t get a picture of the dress before it was gifted to my niece. I think my favorite project is the Willy Wonka costume I made for my daughter when she was about ten. It was modeled after the costume worn by Johnny Depp (Gene Wilder’s performance always terrified her). That costume got a lot of use, too, as my son used it for dress up after my daughter was done with it. Once, when my son was five, he wore it to the barbershop; the barber said he looked like a pimp, in his velvet blazer and top hat. Sadly, I don’t have any pictures! 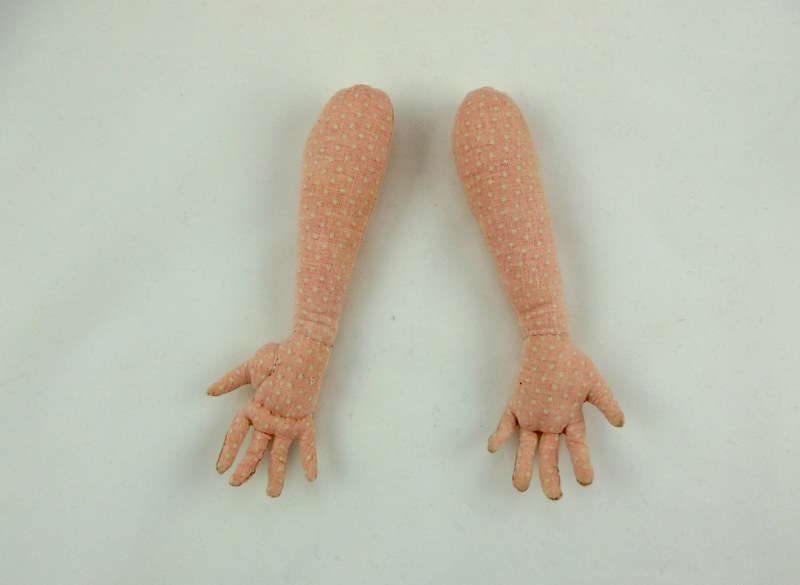 I’m working on some dolls: some made out of cloth, some will have hands and heads sculpted of clay. 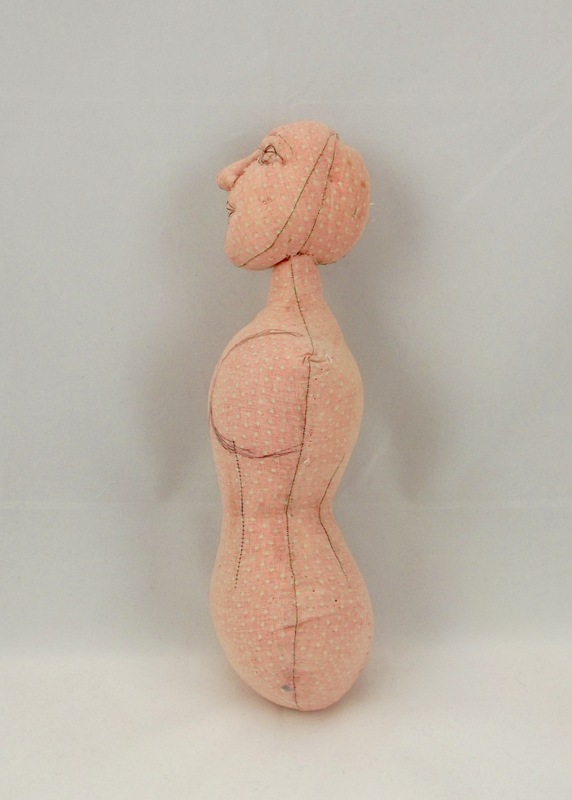 This fabric doll is being needle sculpted and will then be painted. 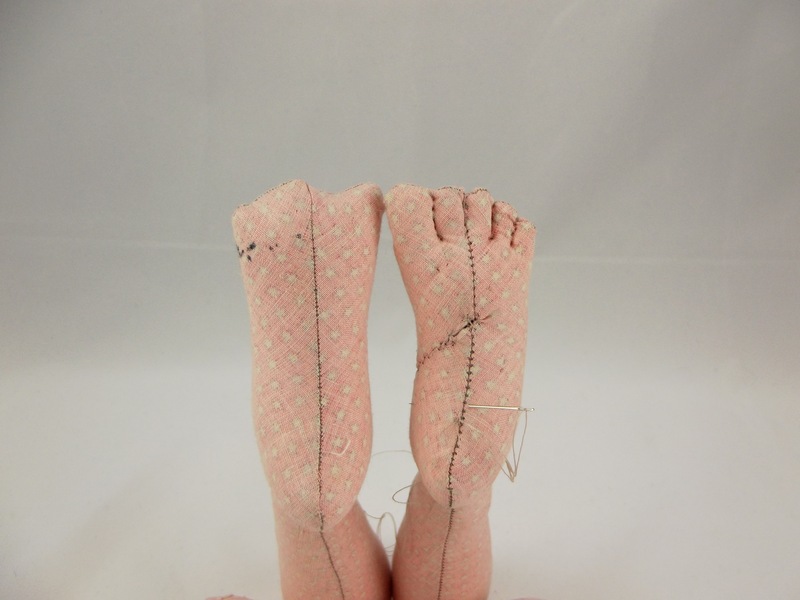 Kristina uses the sketched lines as guides for stitching additional dimension into the doll’s body. From the side, you can see more of the dimension that has been added to the face through needle sculpting. These hands also have wire armatures, built from pipe cleaners, which allows the fingers to be posed. The hand on the left has already received some detailing with a needle and thread, the hand on the right awaits the same treatment. Like the hands above, one foot has started being needle sculpted (right) and the other is untouched. Stitches define toes and a small dart creates an arch in the foot. I have some ideas for a few dolls that are inspired by sideshow attractions and oddities. I’ve always been fascinated by anomalies. For example, I want to do a set of conjoined twin babies. It’s like family! And you get to play with fabrics all day, so what’s not to like? It’s great being surrounded by color and texture all day; it’s nice to come to work and just be inspired. Thanks for sharing your works in progress, Kristina! 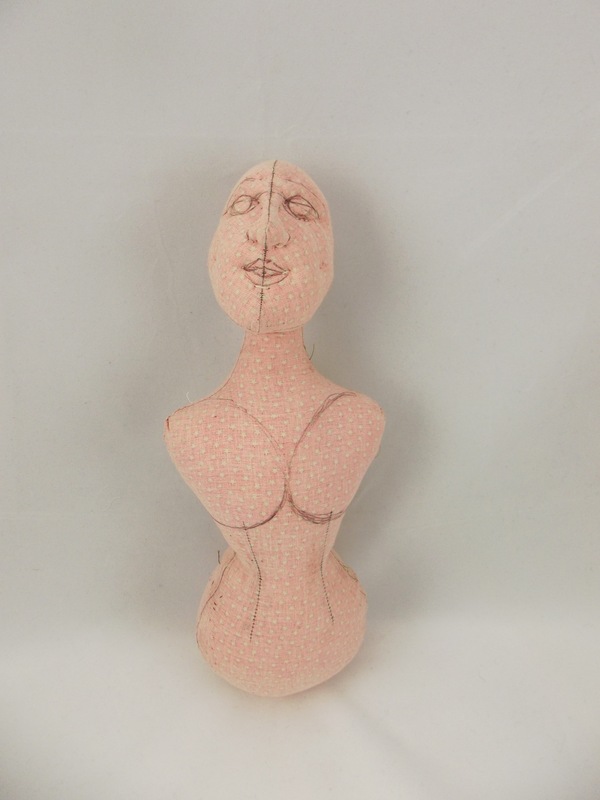 The construction of your doll is fascinating and I am excited to see it completed! Have any questions for Kristina? Leave them in the comments below. This entry was posted in NSB Interviews and tagged doll making, get to know Nancy's employees, interview, kids' clothes. Bookmark the permalink.